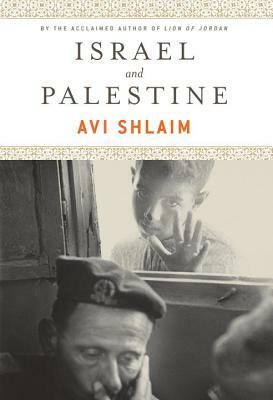 Avi Shlaim, one of the world's foremost experts on the Israel Palestine conflict, reflects with characteristic rigour and readability on a range of key issues and personalities. From the 1917 Balfour Declaration to the failure of the Oslo peace process, from the 1948 War to the 2008 invasion of Gaza, "Israel and Palestine" places current events in their proper historical perspective. It assesses the impact of key political and intellectual figures, including Yasir Arafat and Ariel Sharon, Edward Said and Benny Morris. It also re-examines the United States influential role in the conflict, and explores the many missed opportunities for peace and progress in the region. Clear-eyed and meticulous, "Israel and Palestine" is an essential tool for understanding the fractured history and future prospects of Israel-Palestine. Avi Shlaim is a Fellow of St. Anthony s College and a professor of international relations at the University of Oxford. He was elected a Fellow of the British Academy in 2006. His books include "Lion of Jordan: The Life of King Hussein in War and Peace"; "War and Peace in the Middle East: A Concise History"; "The Iron Wall: Israel and the Arab World"; and "Israel and Palestine: Reappraisals, Revisions, Refutations." He lives in Oxford."